Gabadoo is a Djirringanj man from the Yuin Nation, born and raised in Bermagui NSW. He has been creating hip hop, R & B and urban funk music for over ten years, and is known for producing soul–infused beats and clear, dynamic vocals. For Gabadoo, music is a way to express his feelings about his life, family and experiences. 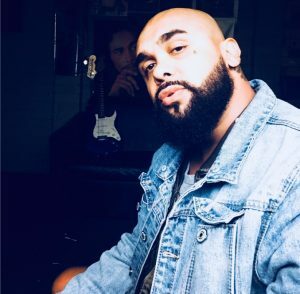 Making music has helped Gabadoo overcome some anxiety in the past, providing a creative outlet and a way to escape the challenges of everyday life. A father of four, Gabadoo loves spending time with his young family. Gabadoo started listening to hip hop artist Easy E from N.W.A when he was a kid, and that inspired him to try making his own music. He loves the old school hip hop vibe and is also a reggae rapper/singer, inspired by his idol, Bob Marley. Gabadoo has been performing up and down the NSW east coast since 2016, and hopes to carve out a successful career as a performer, earn respect for making great music and make his family proud.